There are few technologies in recent years that have become as prominent as Bluetooth. Our headphones, keyboards, even the mouse on our computer - many of them now rely on Bluetooth connectivity. This time we have a reader whose Bluetooth connection on his Mac is giving him trouble, however. We'll offer some advice to get it running again. I have a late 2008 MacBook and recently bought a wireless trackpad for it. The problem is my Mac's Bluetooth has a squiggly line through it. I tried an SMC and PRAM reset to no avail. Any ideas how to restore Bluetooth functionality on my Mac? Whenever there is a squiggly line through the Bluetooth icon in the menu bar, it means that Bluetooth is currently unavailable. This can be caused by any number of issues, including the hardware just not being reachable. Occasionally these issues can crop up with any wireless hardware, and the Mac is certainly no exception. Sometimes the only way to fix Bluetooth issues is to get your hands dirty and remove the preference files the old fashioned way. 1. Close System Preferences if opened. 2. Open the Finder and press Command + Shift + G.
3. Enter /Library/Preferences/ in the text field and press Go. 4. Find com.apple.Bluetooth.plist (and also com.apple.Bluetooth.plist.lock, if available) in the opened directory. 6. Shut down your Mac, waiting a few seconds before turning it back on. 7. 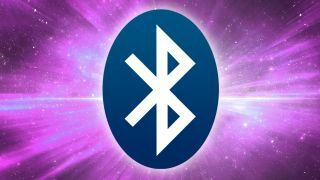 Navigate back to the System Preferences > Bluetooth section and ensure Bluetooth is turned on, and re-pair all of your Bluetooth devices.